The Public Accounts Committee (PAC) has urged critics to refrain from making accusations and comments about its ongoing investigation into 1Malaysia Development Bhd (1MDB), following a prominent blogger’s suggestion that the probe could fall victim to sabotage. 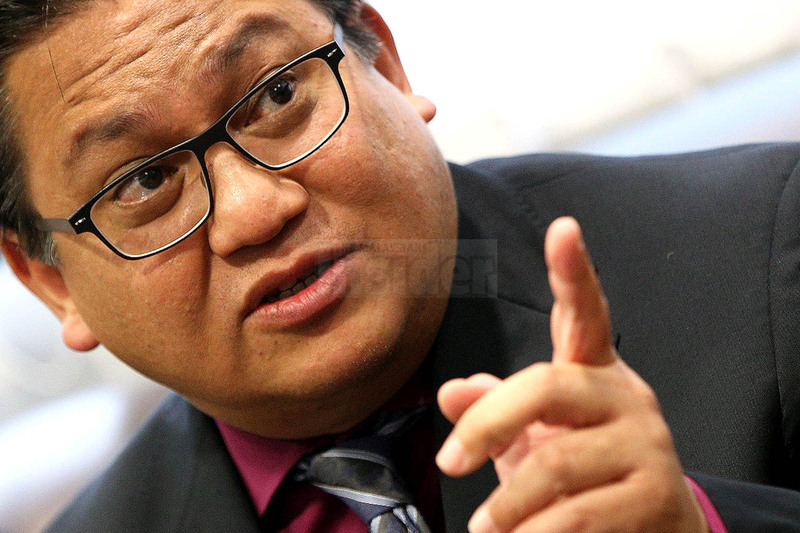 PAC chairman, Datuk Nur Jazlan Mohamed said that all parties, including bloggers, should not doubt the committee’s probe into the debt-laden state investment vehicle, saying it could be detrimental to the investigations. “These kinds of accusations and comments will eventually destroy 1MDB investigations. “Uncalled-for accusations that have yet to be proven and other accusations which will affect the investigation will eventually lead to its failure.”I ask him and all other bloggers to stop with the accusations, remarks and not taint the 1MDB investigation,” he told The Malaysian Insider. Nur Jazlan was referring to veteran journalist Datuk A. Kadir Jasin who, in a blog posting today, questioned if there were PAC members trying to sabotage the committee’s probe into the fund. Kadir had also listed out the 13 members of the bi-partisan committee, which include eight parliamentarians from Barisan Nasional and five from Pakatan Rakyat. Nur Jazlan said today that it was not right to doubt PAC’s efforts in carrying out the investigation as it would only lead to it not being done in a transparent manner. He said PAC’s seriousness to investigate 1MDB can be seen in how the committee had begun its probe even before the National Audit Department finished its own review of the company. “We have started and will continue calling in witnesses. That means we are ahead of the Auditor-General. So I don’t understand that accusation. “In this investigation, PAC holds the right to call witnesses. Why is it that PAC members are now being doubted, questioned? How will we then carry out a transparent and meaningful investigation? “I ask that these accusations be stopped and we in PAC, are not swayed by any party for political purposes,” he said. On Tuesday, PAS summoned Economic Planning Unit (EPU) director-general, Datuk Seri Dr Rahmat Bivi Abdulla and Treasury secretary-general, Tan Sri Mohd Irwan Serigar Abdullah, who also is on the company’s advisory board. The Finance Ministry representative was summoned because 1MDB is a wholly-owned vehicle of the Ministry of Finance Incorporated, while EPU coordinates the Tun Razak Exchange (TRX) and Bandar Malaysia developments. Both agencies also monitor the firm’s governance. Both individuals, however, will return next month to give more information to the committee. 1MDB president, Arul Kanda Kandasamy, and former CEO Datuk Shahrul Ibrahim Halmi who served the company from March 2009 until March 2013, are expected to appear before PAC next week. PAC will also call 1MDB board of directors, including its chairman Tan Sri Lodin Wok Kamaruddin, as well as the company’s past and present auditors soon. Criticism has been mounting over the wholly-owned government investment arm, established in 2009, which has chalked up debts of up to RM42 billion, backed by Putrajaya. Scrutiny has grown more intense following whistleblower site Sarawak Report’s recent exposes, which piled pressure on Najib and prompted opposition politicians, former and current Umno leaders including long-serving former prime minister Tun Dr Mahathir Mohamad, as well as anti-graft groups, to demand a thorough investigation into the fund.